Never in a million years did I think in a scene full of naked women, the only thing I would watch were two men conversing with each other in the middle of the room. That in itself deserves some sort of award. Drive is directed by Nicolas Winding Refn and stars Ryan Gosling, Carrie Mulligan, Bryan Cranston and Albert Brooks. 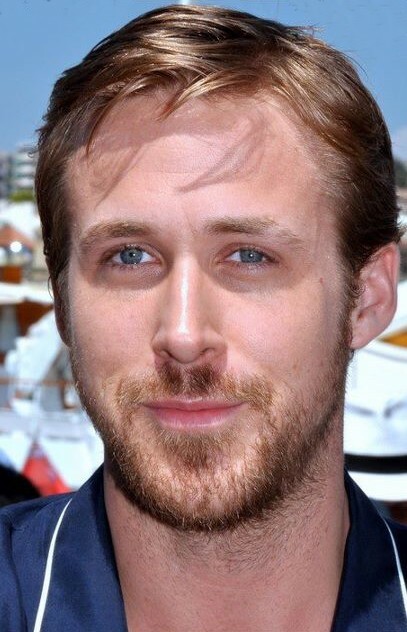 Ryan Gosling’s Driver (no name is given) is a man of few words who works as a Hollywood stunt driver by day, but moonlights as a getaway driver for heists and robberies. Carrie Mulligan is the sweet neighbour Irene who looks after her kid as a single mum, the two inevitably meet and we have a sweet romance arising. Until Irene’s husband is released from jail and in need of the Driver’s help to finish one last job. We have our movie. This film is the definition of style over substance – when it’s done right. If you found yourself snoozing while reading the plot above, join the club; it couldn’t be more basic if it tried. However, this works in the films favour. Nicolas Refn manipulates the components of this movie with such control and grace you feel like you’re watching the film on some sort of hallucinogenic drug which enhances everything you see to a bright and dreamy like viewing. The style has a distinctly 80’s feel to it, with the synthetic soundtrack pounding away in the background and the neon lights flashing by as he cruises through the moonlit city. Drive is very much a character film – our introduction to the Driver sees him giving his rules to some crooks, “I don’t sit in while you’re running it down, I don’t carry a gun…I drive.” To those disappointed he doesn’t have the potential to kill someone with a bullet, I can assure you that this character could probably kill you with a bowler hat with a rabbit in it. I defy anyone to watch the opening of this film and not feel a tingle run down your spine. What divides the majority of opinion in this film is the fact the movie really slows down after this first chase sequence, focusing more on the relationship between the Driver and Irene. From the way the film was marketed people were most likely expecting a Fast and Furious type action movie with lots of naked women and violence, and while there are both of these things in the film, you’ll be too focused on watching the Driver breaking another man’s hand with a hammer to even notice the naked women, and the violence will leave you feeling exasperated and quite stunned. (If you’ve seen the film you’ll know I’m talking about a certain scene in a certain elevator.) The thing is, as mentioned before this is a character film, not an action film. The first half is spent building up the Driver’s temperament and relationships and the second half is spend completely destroying them as he hammers, stabs and kicks people to death without ever changing his expression. Without the first half we would react to this with horror but with it we are given a context in which we can understand why he does these things, to an extent. Ryan Gosling literally must have around ten lines of dialogue in this whole film; calling him the ‘silent type’ does not do it near enough justice. The almost awkward silences between him and Irene are clearly to create some realistic situations between the two, and although they are possibly overused it’s a relief to see something that’s real and genuine for a change. Bryan Cranston is typically brilliant as the Driver’s crooked mentor and Albert Brooks is charmingly sinister as the films main antagonist, thinking nothing of stabbing someone in the eye with a fork in a restaurant and then walking out (yeah, that’s the guy who voiced Nemo’s dad). In the end Drive proves itself to be a piece of cinematic art with mind-blowing cinematography, an awesome soundtrack and masterful directing, not to mention the most badass jacket I have ever seen in a film.